As you may know, we love partnering with local businesses and doing our part to help make a difference in the lives of others. We are excited to announce we are doing something special for babies currently in the Neo Natal Intensive Care Units (NICU). We have partnered with one of our favorite woman-owned businesses located right here in Edmond—Oliver & Olivia Apparel. 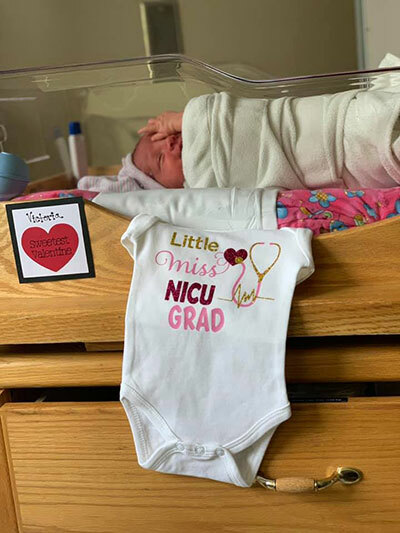 During the month of March, Hello Love Salon & Boutique will be taking orders for “NICU Grad” onesies ($10/each). Each onesie purchased will be donated to a current NICU baby! “When I was in the NICU with my daughter, Victoria, the inspiration for these onesies came to mind. 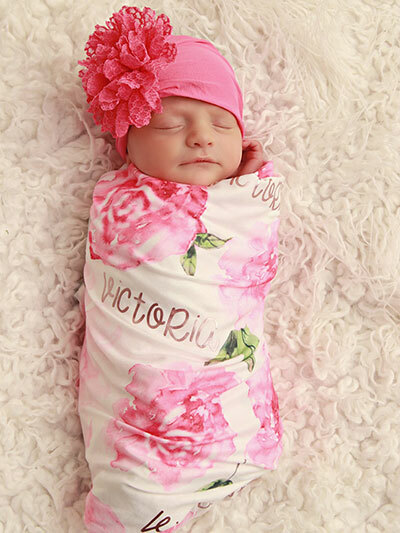 Our sweet Victoria arrived four weeks early. When I found out I was having her early, the NICU never crossed my mind. She was almost full-term and my OB assured me everything was fine with my pregnancy. When she arrived, she was not breathing or acting like a newborn should. The nurses rushed her straight to the NICU and proceeded to take care of her. It was one of the most heartbreaking moments I had ever experienced. I just delivered my baby and I was not allowed to hold her or even see her until my epidural wore off. Once I was able to see her, she was hooked up to all sorts of monitors and cords. The staff would not let me hold her, I could only look at her through a glass incubator. It was one of the toughest things to go through as mom. I was truly heartbroken and felt as if a sense of me was gone. Even though she was there right next to me, I was not able to do the normal mother/baby bonding things such as skin-to-skin. I had all these hopes and expectations and they were shattered now that she was in the NICU. I had no idea what the NICU was all about or how it would have such an impact on me. What I learned during my ten day stay in the NICU is that everything is about God’s timing, not mine. I could not force my baby to eat. I could not force my baby to breath on her own. I just had to sit back and wait and wait. One of the hardest things was hearing the nurses and doctors tell me what I could and could not do with my sweet Victoria. My baby was on THEIR schedule. I felt as if my control over her was gone. The control to feed her, to hold her, to love on her, to nurture her and to bond with her was taken from me during that time. I felt so restricted and each day that passed by, a piece of my heart broke more and more. When I thought she was close to leaving the NICU, she would miss a feeding and that caused more setbacks. I was so discouraged. If you are interested in donating a onesie, please call Hello Love at (405) 285-2021 or stop by the salon. We will be accepting orders through March 31, 2019. We hope you will partner with us to share some hope, encouragement and love to those with current NICU babies.